Katie Holmes celebrates her 40th birthday at New York City’s iconic Serendipity 3 on Tuesday. Katie Holmes reportedly unreachable when she decides to split from husband Tom Cruise. Tom Cruise received a medallion with the words “I’ve got everything” embellished on it after being interviewed by Jonathan Ross. 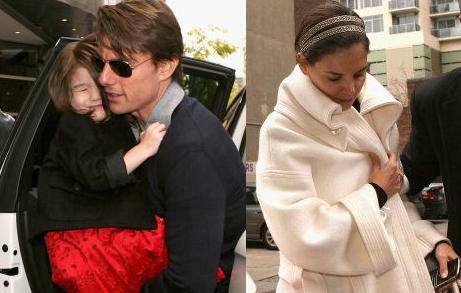 Suri Cruise, who is the daughter of Katie and Tom, didn’t like traveling after several trips to other countries severely disrupted her routine. Katie Holmes, who graces the Marie Claire magazine, talked about her career, life with Tom Cruise and having more kids. 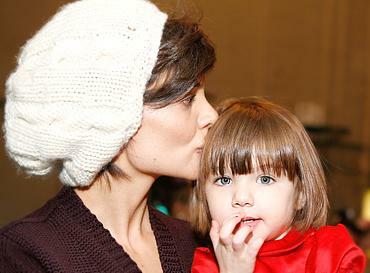 Katie Holmes is proud that her adorable daughter Suri likes to design her own clothes. Katie Holmes was seen arriving at a recording studio in Hollywood, California on July 31. Tom Cruise reportedly bought his cute little daughter Suri her own car as he splashed out $30,000 on a custom-made miniature replica of an Indy race car. 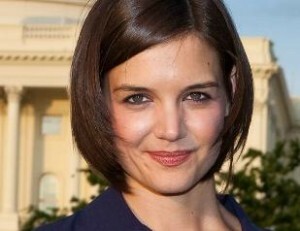 Katie Holmes was left shaken after a car she had been sat in on a film set caught fire seconds after she got out of it. The Cruise family is down under at the moment, and Sunday Tom, Katie and Suri went to the stage production of ‘Jersey Boy’ in Melbourne, Australia. Looking in high spirits as she gave a wave and smiled to a crowd of fans and photographers, Katie Holmes was spotted out on Saturday (May 23) getting ready for the upcoming National Memorial Day Concert in Washington DC. A solemn-faced Katie Holmes, 30, and her 3-year old daughter, Suri Cruise, showed up at Tuesday night’s taping of American Idol finale, according to the witnesses. 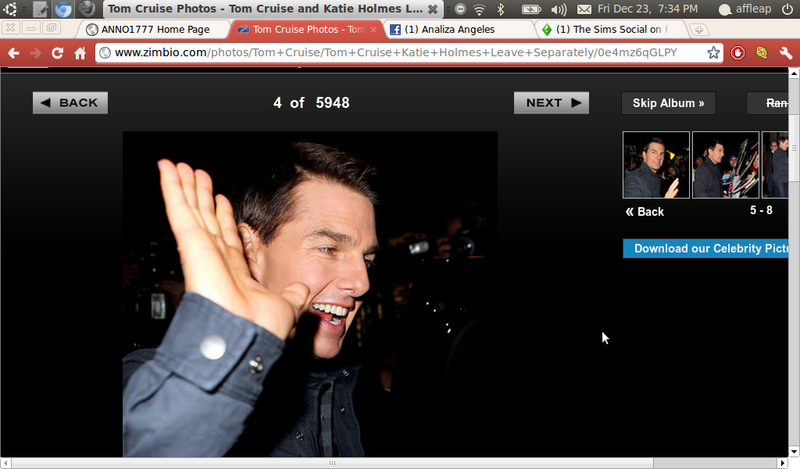 Katie Holmes Was Too Busy To Satisfy Tom Cruise? Katie Holmes’ baby making is on hold due to her red-hot film career – and hubby Tom Cruise is NOT happy! 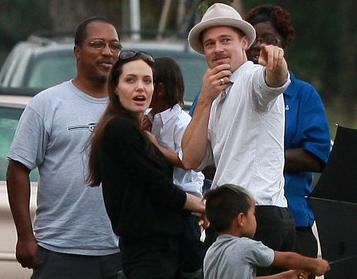 Read moreKatie Holmes Was Too Busy To Satisfy Tom Cruise? Tom Cruise & Katie Holmes Enjoy White House Dinner In D.C.
Tom Cruise and Katie Holmes stepped out for the annual White House Correspondents’ Association dinner on Saturday night. Read moreTom Cruise & Katie Holmes Enjoy White House Dinner In D.C.
Brad Pitt and Angelina Jolie are the most powerful celebrity couple on the planet, with a greater star status than even the Beckhams, a new study showed.